As we've mentioned elsewhere, the villa buildings are part of the Westin Resort. 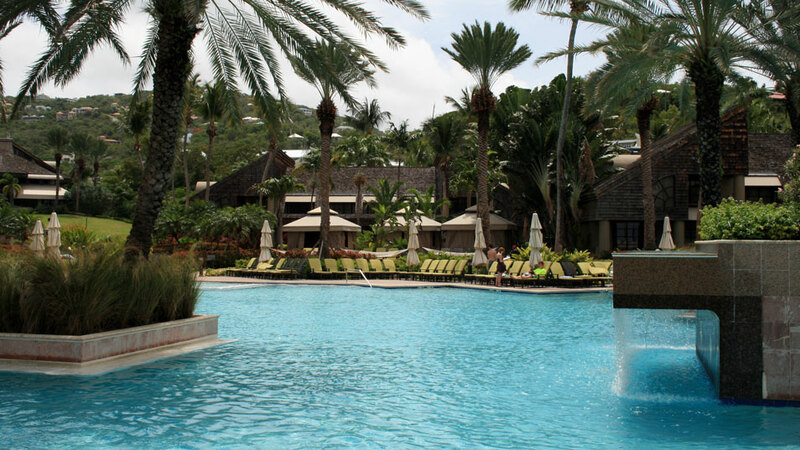 Though most of the villas are owned by private individuals, they are managed by the Westin. For example, your check-in when you first arrive is handled by the Westin. Also, any Resort services that you may later make use of can be charged to your villa number and paid for when you check out, just as if you were staying in one of the Resort's hotel rooms. 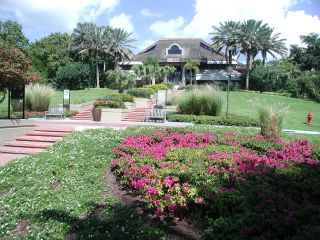 As you can see from the photos on this page, the Resort property is beautifully landscaped. 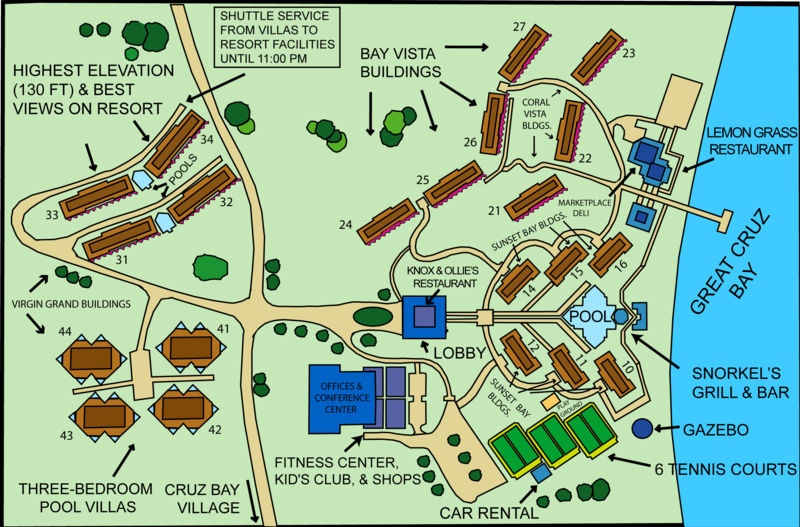 In addition to all of the facilities and activities on the Resort, even just a stroll around the resort is quite enjoyable. The main lobby of the Resort is an open-air design with a nice view out over the property and Great Cruz Bay. Wireless Internet access in your villa and throughout the Resort property. The Lemongrass Restaurant at the Westin resort. Part of the Westin resort beach. Part of the 1/4-acre main pool. Rentals of sailboats or powerboats, with crews, for full-day, half-day, or sunset excursions. 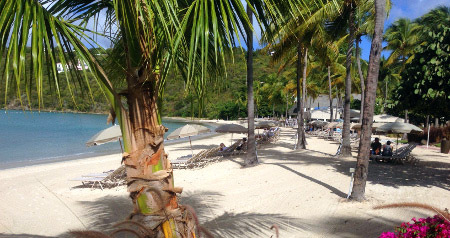 These can include trips to the neighboring British Virgin Islands. Contact our concierge, Noelle, at (530) 623-2509. She can set these up for you at no charge. There are several dining options on the Westin Resort. All of these offer great food with the convenience of being on the resort. Dial extension 1850 to reach the Food and Beverage staff. Located by the beach (near the resort dock) the Lemongrass restaurant offers contemporary cuisine. Lemongrass had both breakfast and dinner service and an outdoor bar area with a great view of the bay. 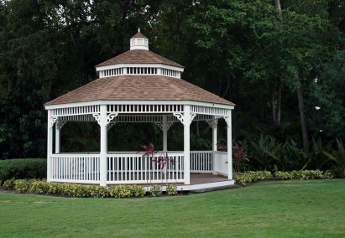 Located immediately adjacent to the Lemongrass restaurant is The Marketplace. 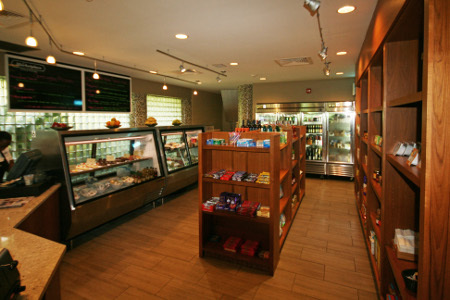 In addition to a selection of packaged food and beverages items The Marketplace offers fresh baked goods, deserts, deli sandwiches, pizza, and fresh brewed Starbucks coffee. Snorkel's Bar and Grill is located immediately next to the resort main pool. In addition to a great selection of bar drinks and smoothies, Snorkel's serves American cuisine which you can enjoy at the bar, by the pool, or at a beachside table. If you would prefer to dine in the comfort and privacy of your villa, the Westin offers a great selection of in room dining from early in the morning to late at night. Simply dial extension 1850 to place your order and have your selection delivered directly to your villa.